Freesia McKee is a poet and essayist who writes about gender and power. Headmistress Press published Freesia’s first chapbook How Distant the City in 2017. How Distant the City is now available on the Headmistress online store and from Amazon.com. Her series of post-election poems For the Immediate Aftermath is available online. Freesia’s words have appeared or will soon appear in CALYX, cream city review, The Feminist Wire, Nimrod, Painted Bride Quarterly, Huffington Post, Gertrude, Rust Magazine, New Verse News, Sinister Wisdom, Lavender Review, If You Can Hear This: Poems in Protest of an American Inauguration, The Wanderer, Sundress Press’s Political Punch anthology, and other journals, anthologies, magazines, and websites. Freesia was the winner of the 2018 Patricia Goedicke Prize in Poetry. Freesia lives in North Miami, where she serves as an associate editor at Gulf Stream Magazine and South Florida Poetry Journal. 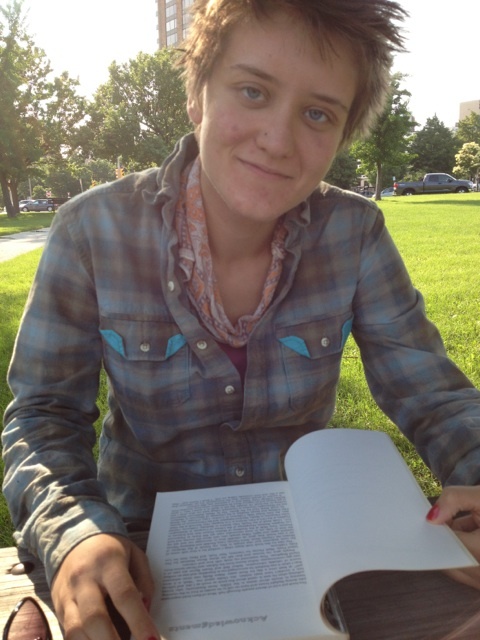 She is pursuing an MFA in poetry at Florida International University.